why on earth would you start a dōterra business? a busy woman juggling kids and a stressful job? struggling to make ends meet and feeling frustrated that you can't give your kids the experience of a family holiday in the sun and send then to a great school? or maybe you're missing the career you left to have kids but can't see a way to earn a great income doing meaningful work that actually fits into your current life with children? maybe (like me) you are the carer for your child with special needs and you want a way to secure their financial future for when you are gone, doing meaningful work that gives you flexibility and connection with other women so you don't feel so isolated and alone? maybe you love your job as a health professional helping people feel well but you are tired of the long hours required to do it? or are you doing well financially but feeling totally bored and unfulfilled wishing you had a way to connect with like-minded high-vibe people and make a difference in the world? How exciting that you feel called to finding out more about the business side of dōTERRA - it has been a game-changer for many women to partner with dōTERRA and create financial and time freedom doing something you love. All of your training is provided and you have ongoing business mentoring included. So you are likely wanting to follow pathway 2 or 3 - that's why you're reading this right? Read through this page you'll get a feel for what you can access then head over to the dōTERRA University and download the free dōTERRA Business Overview - this will give you the lowdown on how it all works and the phenomenal opportunity available to you. If you are leaning towards being a Sharer then download the Share Guide to see how you can start earning free products for yourself. If you are feeling called to be a Builder, after you've read the Share Guide - download the Launch Business Guide and see what the action steps are that you need to take in order to Launch your beautiful biz. why would you jump onboard? If you want all 3, then more power to you!! What do you want? Like really, what do YOU want? Get excited imagining all of the possiblities an opportunity like this presents! How do you launch your business? The Launch Guide is designed to help you kickstart your business. It gives you a 6 week roadmap to success. I'll connect you with this resource and heaps more so that you can take this and develop your business your way. Read through the Business Overview page 9 and work out your pace. 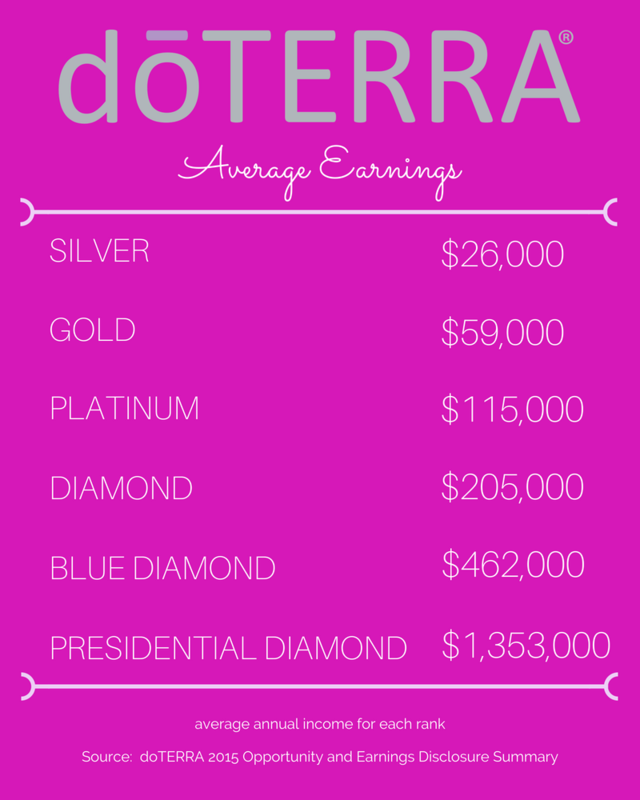 You may wish to set your launch period for 30, 60 or 90 days to reach the first goal of Elite, which is the first foundational rank to achieve in dōTERRA. Now everyone goes at their own pace - this is entirely up to you. You know you want to supplement your income and do something more meaningful but maybe you have a lot of commitments and work full time you are most likely going to be slow and steady and your Launch period is typically 90 days. You are a go-getter and although you have family commitments and maybe a sideline job you are super keen to replace your income ASAP so you can dive into dōTERRA full-time - you are on the Fast Track and your Launch period is typically 60 days. You are a freak of nature who is uber excited and motivated to make magic happen - like yesterday! You want all in and are willing to start flying the plane straight away and learn how to fly along the way!! You know what you want and you do the THINGS! You are on the Super-sonic trajectory and your Launch period is typically 30 days - by the way - I was a Unicorn and reached Silver in 2 months #nextlevel This is totally available for you too! Essentially all you need to start is your Home Essentials Kit (just $330 to start up a business is crazy good right?) and set up a minimum 100 point order each month on the Loyalty Rewards Program, then together we will create a plan of how and when you want to start using your Launch Guide and book in our weekly mentor calls and then boom - you have started! I will connect you in with our resources and show you the ropes by co-teaching the first few classes with you and then it's over to you to dive in and make your magic happen! Don't worry - I wont leave you hanging and if you need more time to get your confidence up - like I said I'll have my pompoms out supporting you all the way! During your Launch Month we will have a minimum of 2 mentor calls. At our first mentor call we will get really clear about WHY you want to do this business, what is your GOAL and the PACE at which you want to build. It is up to you to set this and I will match your energy. My top strength is being an Activator so this means you are going to have the best cheerleader by your side who will help you accelerate your success IF you put in the work. We have a Facebook group, The Essential Collective Co Biz Tribe, that you will be invited into to receive support and connection with the other amazing people who are co-creating a business of their own. Ok wonderful woman download those guides, soak in all of this goodness, set out your action steps, write down your questions and get in touch with me below when you are ready to set up your first mentor call to walk me through your plan! Note: please ensure you add your country code if outside Australia. I'm a dreamer and a doer, I long for something meaningful to throw my passion behind but I'm feeling overwhelmed with choice, busy-ness and financial constraints. I have an entrepreneurial heart, I crave connection and sisterhood but I’m stuck in the 9-5 and I’m ready to create massive change, even though it kinda scares me to do it. I have an exisiting business that I love but I’m looking to leverage my talents and stop trading time for money so I can have more quality time with my family.